Visiting Zion can be very overwhelming considering there are a plethora of activities, hikes and things to do/try while here visiting. It can get hard trying to decide what is really worth doing while here. We want to make that a little easier by providing a list of what we believe are “must do” activities. 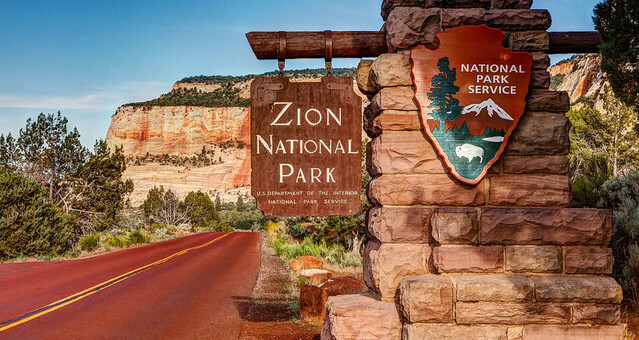 There is a reason that these are the most popular hikes in Zion. Though it may seem frustrating that at times they can be crowded, once you reach your destination you will see exactly why that it. This is one of the most beautiful drives in Southern Utah, and quite frankly, the world! Not only is it absolutely stunning, but there are also a ton of places to pull off and explore! If you’re looking to cool off and get a good workout in during the summer months, check out The Narrows! This is one of the most popular, fun and exciting hikes here in Zion. Looking for a good view and great photo opportunity? Observation Point gives a fabulous and captivating view of Zion Canyon, one that you really do not want to miss out on. Last but definitely not least.. Angels Landing. This hike is just as stunning as it is extreme. Most people are terrified to take this challenging hike on, but those who do will tell you they did not regret it. Once you reach your destination be prepared to be blown away by the view.